Thanks and Kind Regards to all. Joseph Williams, STS1(SS), 1971-73, 6 patrols, blue crew. Last edited by jjoldtyme on Thu Sep 22, 2011 5:05 pm, edited 1 time in total. 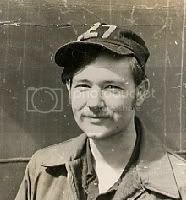 Joe, the date on my Blue Nose certificate is 7 December 1972, but I was gold crew. Don't know about the blues. I believe the c.o.b. took orders for the certificate and we paid him for them. JT, it's like a blast from the past talking to you again. I remember the turnovers in general but can barely remember the details. Thanks for the follow-up. Know what you mean about a blast from the past. I remember you from turn-over, but more than that, Joe I remember you from fleet sonar school in Key West 1969. There were several guys I think from the Clamagore in our class. You hung out with a guy named Mogador or something like that. You called him "Mr. Moto" I think. He drove a brand new Mach I Mustang, very nice!!! Remember Greeb the class leader that converted from a cook to sonar. Nice to hear from you.